I’m still a little shocked about how well last week’s lemon-Earl Grey bars turned out, so I decided to leave my sweets streak and make another breakfast dish: french toast. This easy recipe is even simpler than the quick buttermilk pancakes I made at the beginning of the quarter and just as delicious. 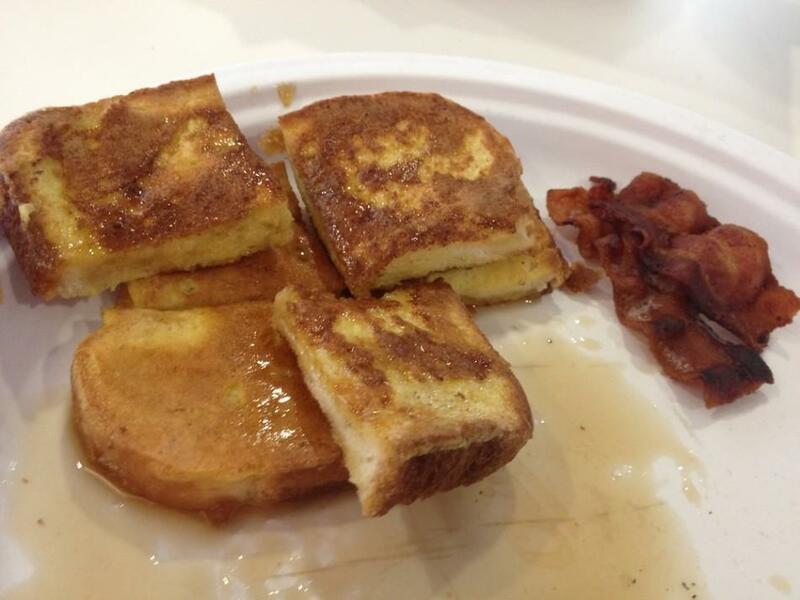 This recipe scales easily: Three eggs make four pieces of French toast. To make this recipe a meal I usually also make bacon and pour myself a glass of orange juice, but you can mix it up a bit with fruit, whipped cream, chocolate, Nutella, etc. Set a frying pan on the stove at medium heat. Combine all the ingredients in a medium bowl and whisk thoroughly. Put a piece of bread in the mixture, flipping until coated. Place the piece of bread in the frying pan and cook each side until browned.